Greece's outspoken finance minister came under attack in Athens, but escaped without injuries after his wife shielded him from the angry crowd. Yanis Varoufakis described how he, his wife Danae, and their friend got ambushed while having a late dinner in Exarchia, a neighborhood in Athens which local media described as "famous for left-wing protests." A group of anarchists entered the area and started to shout and curse at him. The minister said they were telling him to "leave their area," saying no government officials are welcome there. As they approached Varoufakis, his wife hugged him to protect him from the crowd. "They tried for a few seconds to reach me without hitting her," he said in a statement issued by the ministry. Some of the protesters then moved outside the restaurant and waited for the couple to come out. When Varoufakis and his wife approached their motorbike to go home, they engaged in "intense conversation" with the group. "I started a dialogue with them, saying that I want to hear them out even if this means I would be beaten," he said. 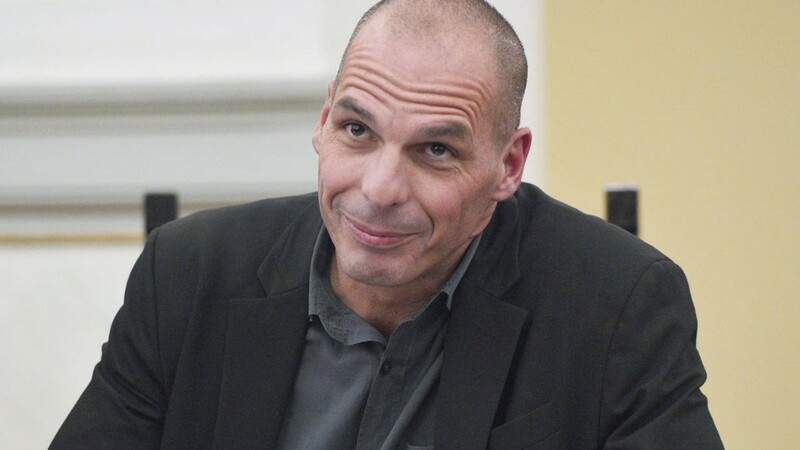 Varoufakis is a member of a radical left wing government, and the mastermind behind its anti-austerity election program. But he recently found himself under criticism for failing to reach an agreement with Greece's creditors. The minister said the anarchists wanted to embarrass him, but not to cause him serious injury. He said that after 15 minutes of a heated conversation, the spirits calmed down and everyone went their ways.